The EMBLAS II Black Sea Survey was joined by the FNRS BENTHOX team. 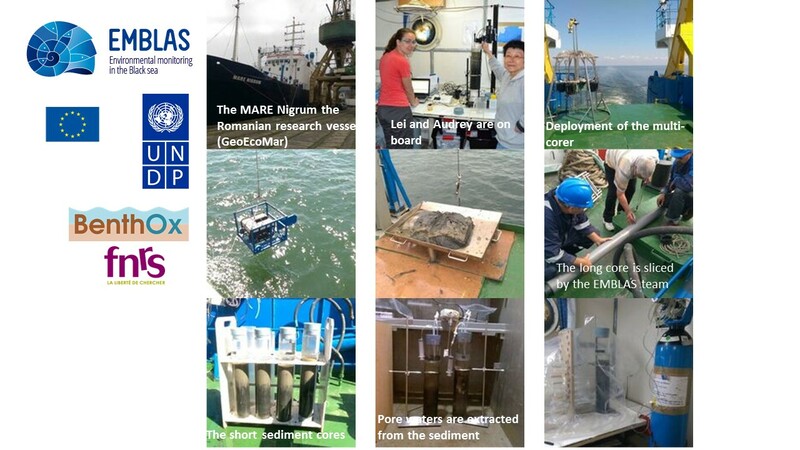 The EMBLAS (Environmental monitoring in the Black Sea) project supported by the European Commission and the United Nation Development Program is targeted towards the protection and restoration of the environmental quality and sustainability of the Black sea. EMBLAS kindly welcomed two Belgian scientists (Prof. Lei Chou, ULB and Audrey Plante, PhD student) on board their expedition organized in the Black sea Ukrainian territorial waters in May 2016. This expedition gives the unique opportunity to collect field data (sediment grabs and cores) for analysis in the lab and modelling. This work is realized in the frame of the FNRS BENTHOX project coordinated by MAST and to which ULB is partner. Pictures of the expedition are now available!